Eversince I had my lip tattoo by The Eyebrowdery last year, I rarely use lipsticks. This is because I am already satisfied with the color of my lips. Using excessive lipsticks can make your lips look darker or grayish so it is best not to use lipsticks all the time and let your lips rest a bit. But most of the time, I still want it to feel moisturized. I hate the feeling of chappy and dry lips because sometimes it causes windburns and it hurts. Which is why the best solution is to use lip balms to make lips more hydrated. A revolutionary and innovative clear lip balm that changes into shining, shimmering pink color as it touches the lips. LIKE MAGIC! Moisturizes and nourishes with long-term benefits. Blends well with any lipstick color and comes in strawberry flavor. The packaging is so nice. 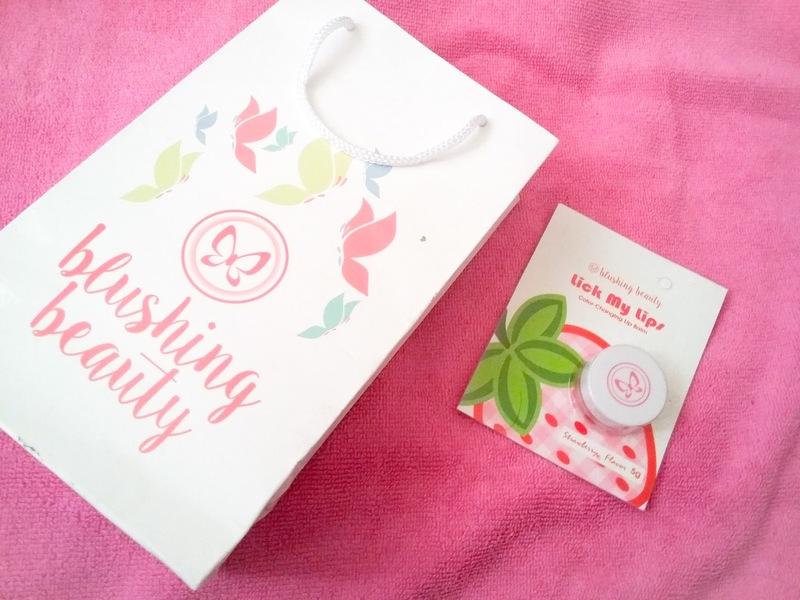 It came in a small paper bag with the Blushing Beauty theme, and inside, is a small carton with the mini tub of clear lip balm. 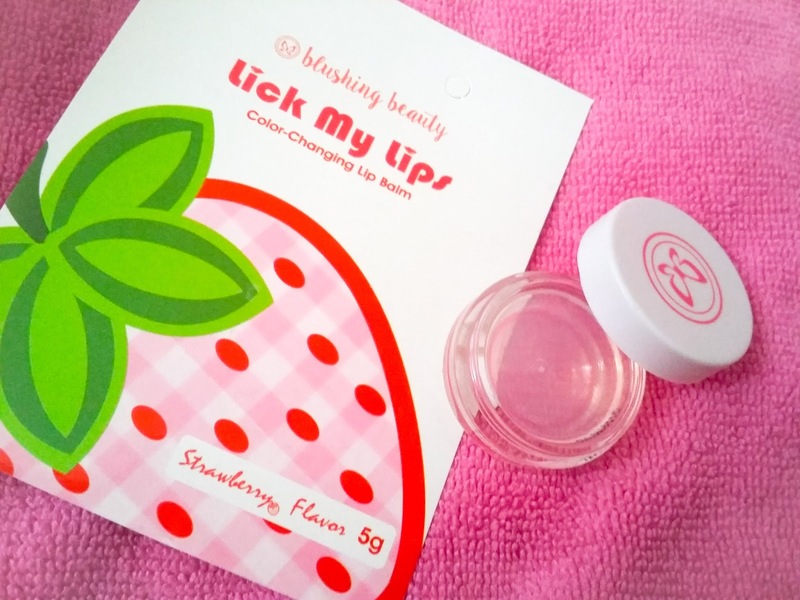 At first, I thought that it will not work because it's a strawberry lip balm with a clear color. It also doesn't come in the conventional lip balm structure that is why it's unique. 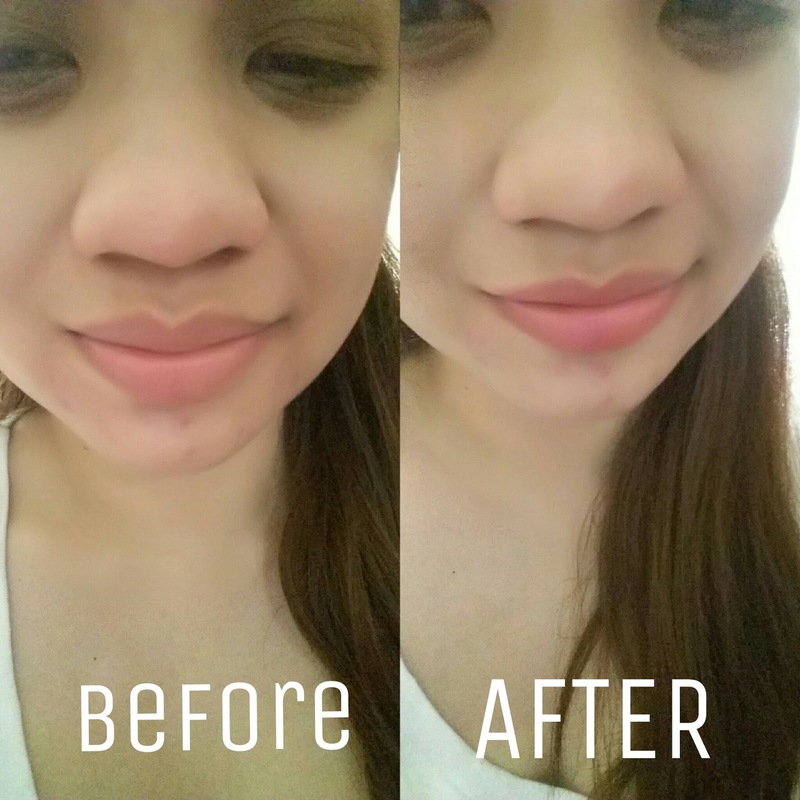 But it smells really nice and on the first application, you can instantly see the color change on your lips. See that? It instantly made my lips pinkier than before. You will not easily notice that you put a lip balm because it looks natural pink. You will surely love this because it doesn't have a sticky finish on the lips. 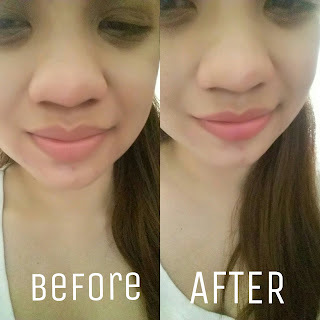 It stays for about 3-5 hours on the lips so you have to reapply as needed. 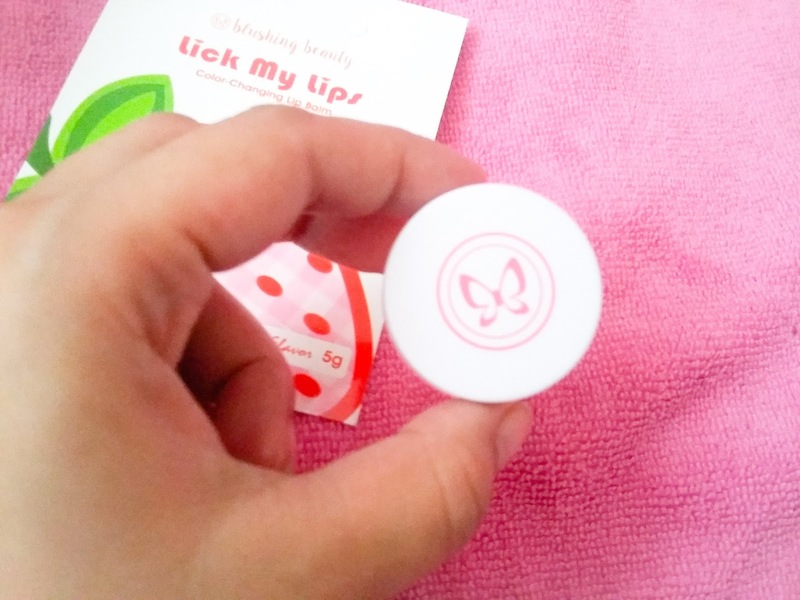 I am so in love with this lip balm already! Disclosure: I bought this on Sample Room using my points. Yep! You should. I'm sure you'll love this one too.